Learning as We Go....: A Smelly Milestone! Tucker poopied in the potty for the first time last weekend! oh girl - I only had one poop in the baby potty episode before I realized I had to just use the big potty for training purposes. I counldn't do it. Cleaning poop out of a dry plastic bowl???? G-ROSS!!!! Hooray for Tucker though!!!! He is such a smart litte boy. That's awesome! Love you! If you put a little toilet paper in the bottom of the bowl before use it's a lot easier to clean up. 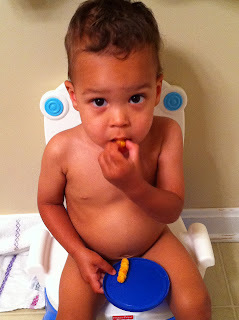 Potty training is a great milestone--the fact that you have another little one on the way will make it abundantly clear to Tucker that he is a big boy--definately not a baby. 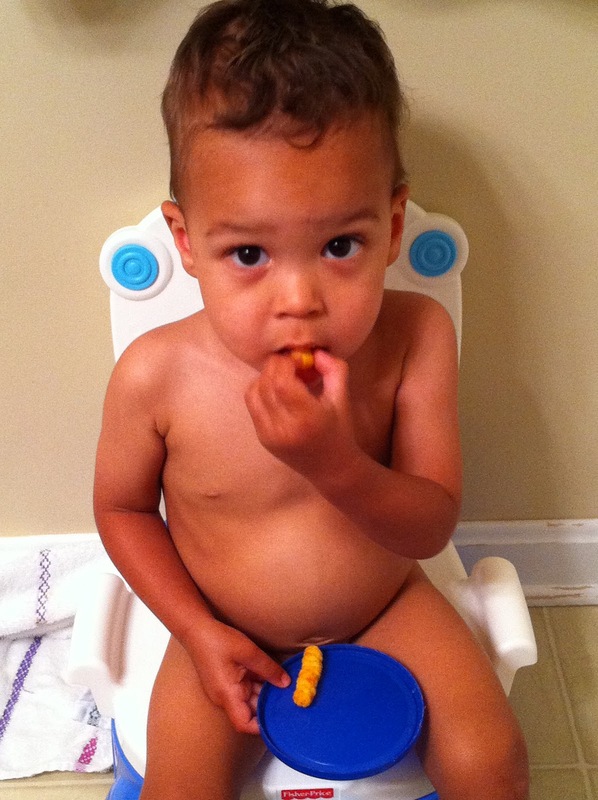 Put this to work for yourself in the area of potty training! Tucker's First Day of School!